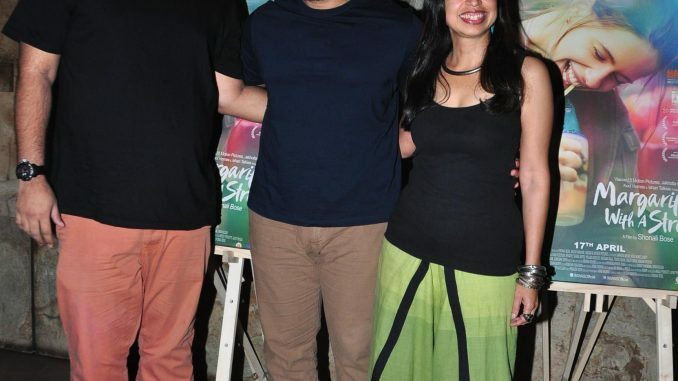 Aamir Khan and Kiran Rao hosted a special screening for Kalki Koechlin’s Margarita with a Straw yesterday. Both Aamir and Kiran who had seen the film earlier, had absolutely loved it. They were high on praise for every aspect of the film, be it the acting, direction, narrative or manner of storytelling. The duo thinks it is an important film and wants it to reach out to the masses. The people who attended the screening included Rajkumar Hirani, Rakeysh Omprakash Mehra, Javed Akhtar, Shabana Azmi, Shradha Kapoor, Anurag Kashyap, Victor,and others. The film, starring Kalki and directed by Shonali Bose has done the rounds of the international film festivals. The film has received rave reviews from people who have seen it across the globe. The film hits screens on 17th April 2015. Farhan Akhtar watched the trailer of Dil Dhadakne Do today!